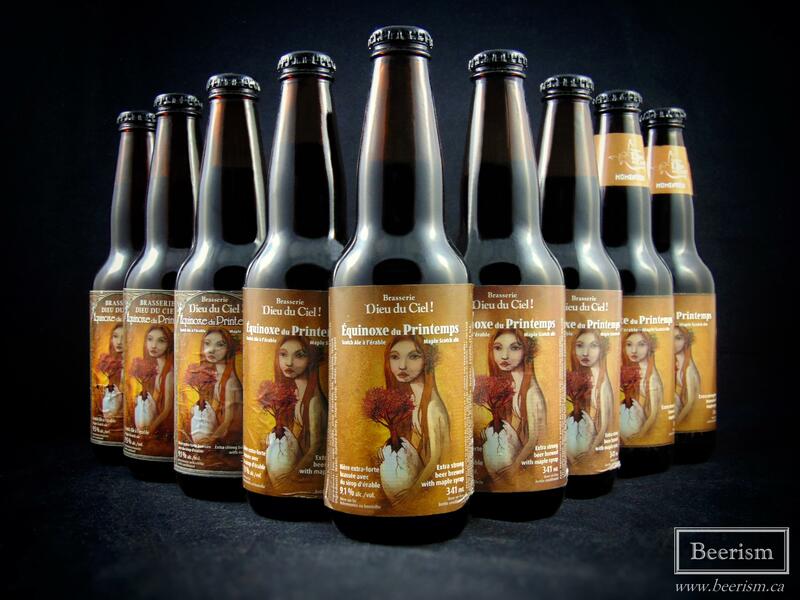 Over the last half decade or so, I’ve been collecting bottles of Équinoxe Du Printemps: Dieu du Ciel!’s maple Scotch ale. My hoarding, coupled with some trades and a few donations from the brewery itself, allowed us to have a fifteen bottle tasting that involved three barrel aged variants and twelve different vintages; with the earliest being from 2001! 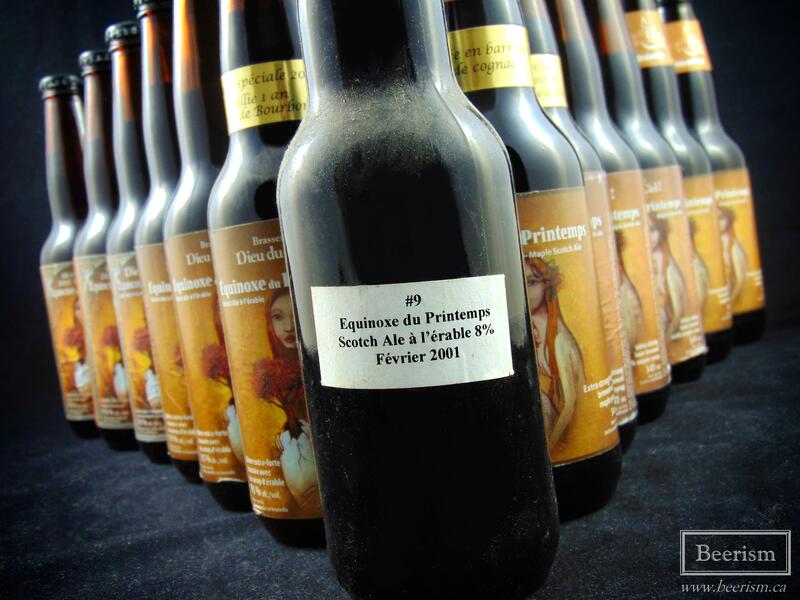 Équinoxe du Printemps comes out every year (usually in March), and I’ve been sitting on at least one of each year since I started getting into craft beer. My tastes have changed a lot over the years, with less focus on sweeter beers such as this one. 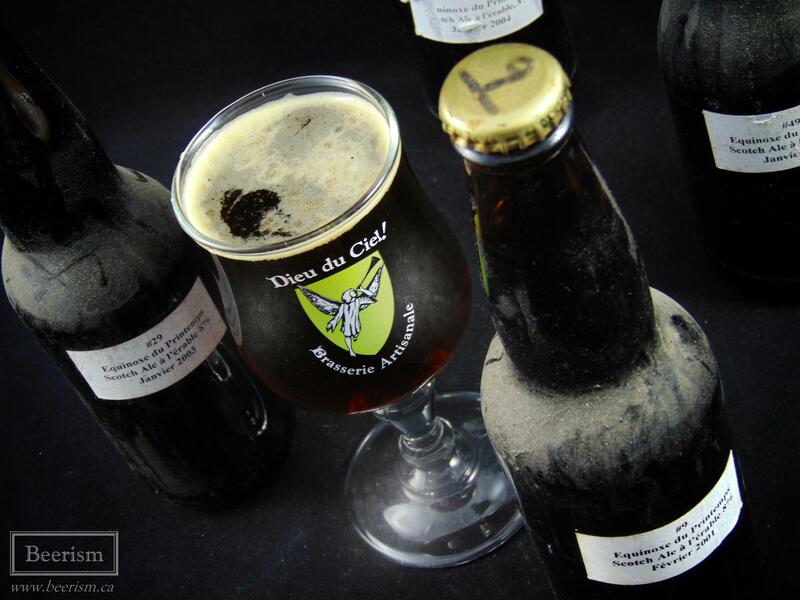 That being said, like everything from Dieu du Ciel!, Équinoxe du Printemps is balanced and is always a pleasure to sip on. I’ve been anticipating this vertical for a very long time, wanting see how they’ve all evolved over years. A few months ago, we got together at my house to attempt to drink all this madness. We were six in total, which is pretty much the maximum number of attendees when splitting 341ml bottles. Given the sweetness and alcohol content, it was a good thing that the pours were small. We had twelve bottles of the standard edition and three barrel aged variants. I laid out over seventy glasses on my kitchen table (yes, seventy! ), and we got to it. 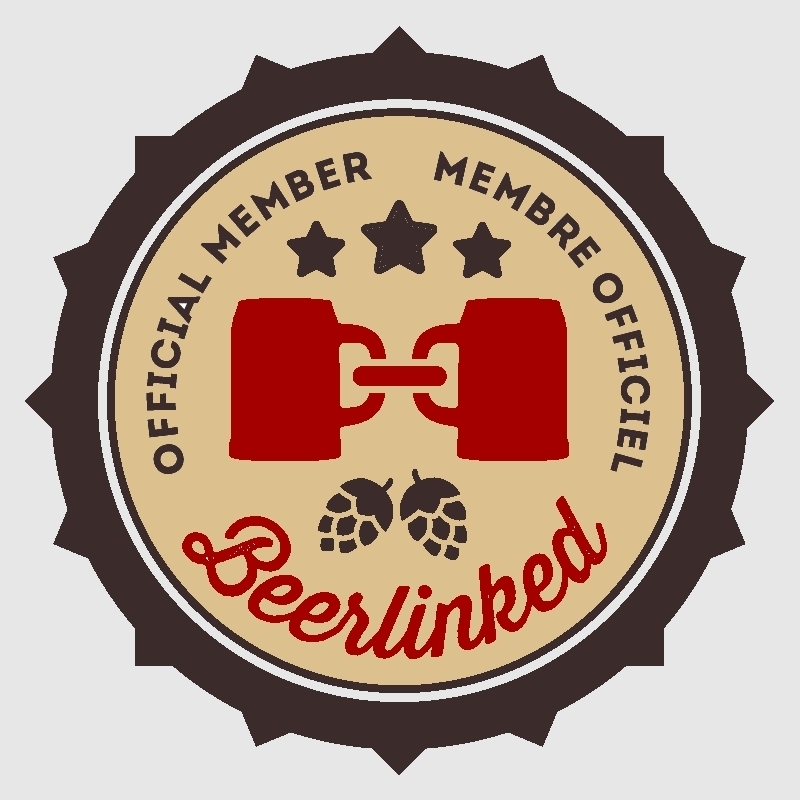 We began by first lining up all the regular editions, which came to twelve beers in one sitting! The exact vintages were: 2001, 2003, 2004, 2005, 2009, 2011, 2012, 2013, 2014, 2015, 2016, and 2017. The 2001 to 2005 smelled so much like sherry, it was bonkers. The 2003 especially carried a fortified wine or port thing. This richness was coupled with marshmallow-like sweetness and lots of candy sugars. The 2009 and 2011 had more of a bananas and maple expression, with almost more oxidation focused aromatics than the earlier vintages. The maple came through a lot more in the fresher bottles, holding more caramel and brown sugar. Like the nose, the palate on the 2001 to 2005 set had loads of rich sherry flavours, with candied maple and taffy in the finish. The 2005 seemed to fail the most of the bunch, with an odd, almost off-tasting sharpness. 2009 stood out in colour, carrying a foggy, light tanned appearance. It was fruity, with sherry notes galore, alongside lots of oxidized honey (it was a favourite amoungst several of us). The 2011 was similar, but not quite to the same level of deliciousness. For me, of them all, the 2012 had the perfect balance of port-like oxidation, coupled with a robust body, minimal wateryness, and lots of maple candy. The 2013 had lots of that tasty candy and maple thing as well, but I didn’t enjoy it as much as the 2012. 2014 to 2017 were good but far more sharp in comparison to the rest. The maple is there, with varying degrees of oxidized flavours coming through. However, we were all surprised with how little they changed in the first few years of aging. It’s also possible we were drunk. After we downed the twelve standard edition bottles, we needed to rinse out palates with an array of hops and sours. At this point, as much as I’d like to say that my palate was in good shape, it likely wasn’t. But hey, we had to troop on! There were “only” three bottles left at this point, the bourbon barrel aged 2011, the bourbon barrel aged 2014, and the Cognac barrel aged 2015. The 2011 bourbon was a vanilla bomb on the nose, with huge barrel and bourbon aromatics, while the 2014 bourbon was more subtle, carrying maple and toffee alongside light vanilla and oak. The Cognac had similarities, but was fruitier, with lots of figs and dried cherries. On the palate, just like the nose, the 2011 was a vanilla bomb, carrying huge barrel notes and loads of maple sweetness. The 2014 had similar qualities, but was far more subtle. The Cognac was rounder, with big dried fruit complexity, yet seemingly sharper overall. Of the three, the Cognac was my favourite. Well, we made it through these fifteen bottles with very few casualties. This beer aged extremely well. Virtually none of the vintages were a complete mess, including the 2001. Beers should always be delicious when fresh, however, some develop and become more interesting with time. 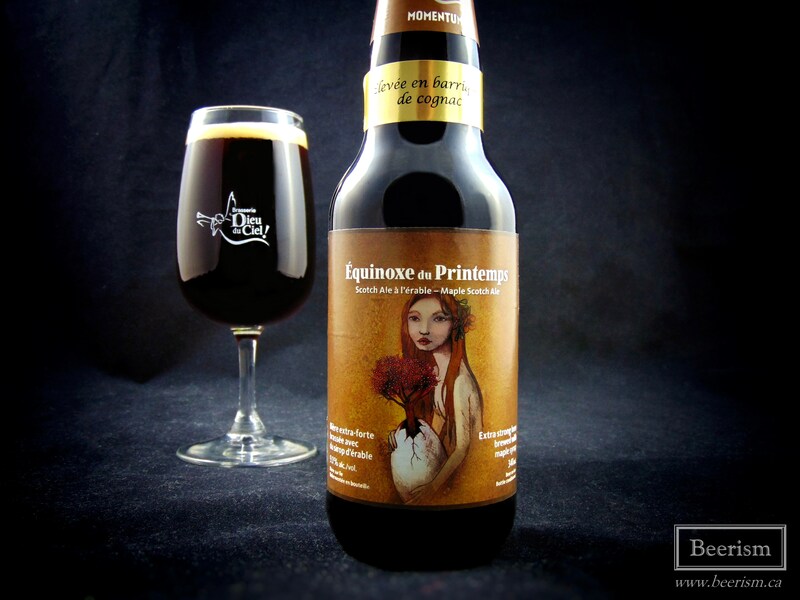 If you are going age Équinoxe Du Printemps, it was ideal for me at five years old (the 2012). It’s always a blast hosting these tastings, but I will say that it gets quite laborious at times. Fifteen beers at over 9% that are this sweet can be a lot for your palate to take. 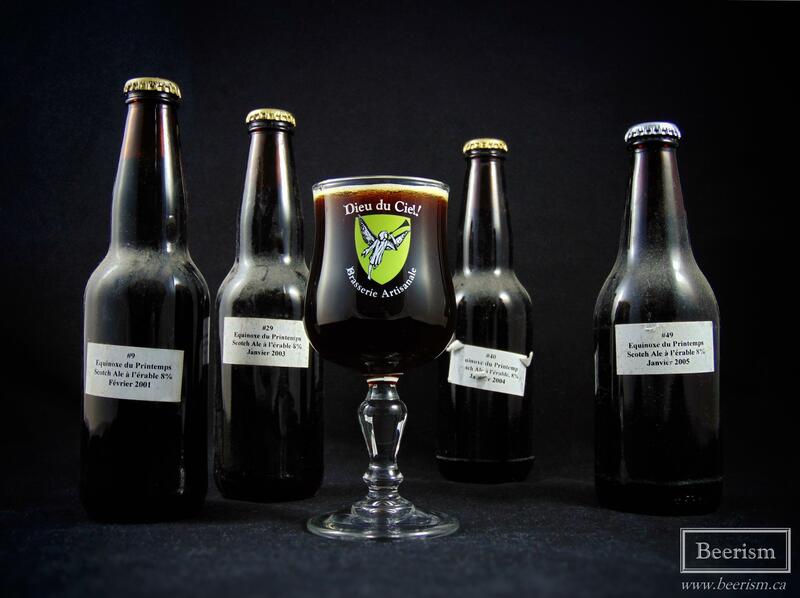 I think the key is to cut the tasting into sections, make sure to have palate cleanser (including other beers), and to not finish your glass – or at least only finish the vintages you like the most. Also, as much as it becomes an experiment, make sure you have fun doing it and don’t take things too seriously, it’s only beer.